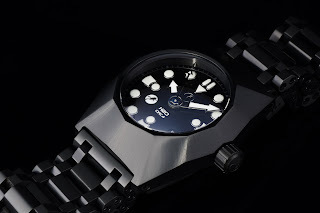 By TLex Introducing the long awaited ORCA Mono OceanicTime Special Edition by H2O Watches of Germany. 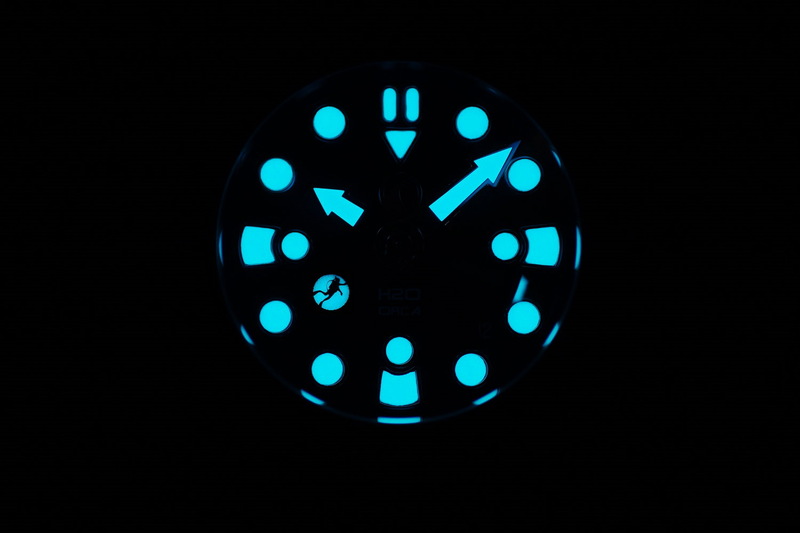 Sleek and stealthy, the Mono OceanicTime SE has maintained its minimalist aesthetic whilst incorporating a number of special details and finishing touches such as the OceanicTime diver logos on its caseback and dial, which glow blue in the dark. 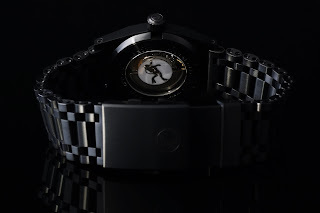 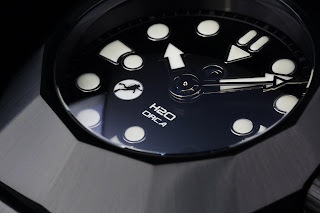 Or its DLC treated (in Germany) H2O Orca Mono case with its unique (stealth bomber meets the Rolex DSS) design. Whilst the watch isn’t a 'dive watch' per se (it lacks a timing bezel); with its 2000 meters of water-resistance, officially certified by an independent German testing laboratory, its 'super dome' Sapphire crystal and contrasting matte black hour hand with its chromed silver minute hand, it is without question a watch for divers! Each of the Mono OceanicTime SE's component have been individually DLC coated in Germany. Each watch has been assembled in Switzerland. 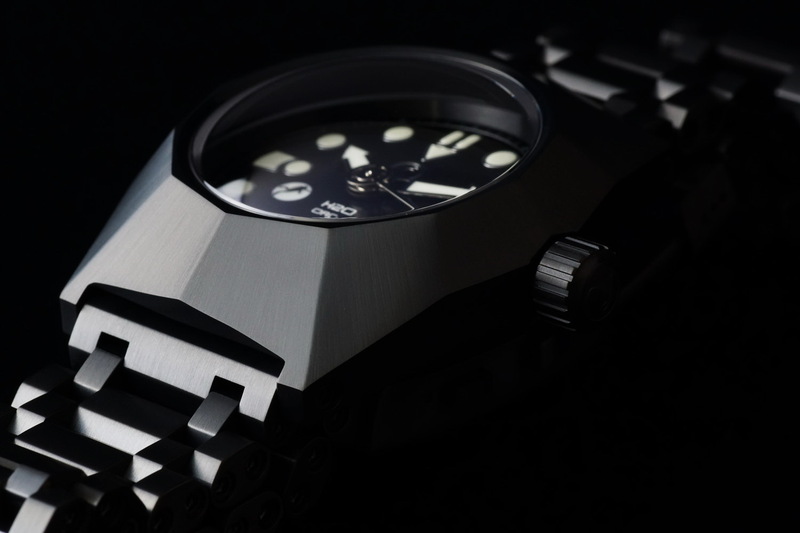 Just 20 pieces have been produced. They are available from H2O Watches HERE priced 950USD. 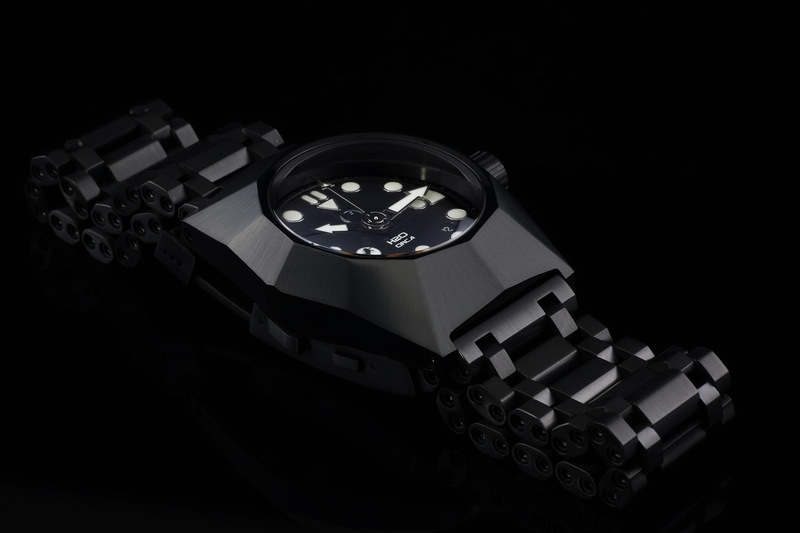 A DLC coated Orca bracelet is available for an additional 200USD. That's pretty awesome with the lumed insert in the caseback!